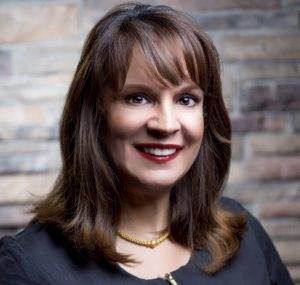 Dr. Laurette Smith is a Board-Certified OB-GYN, and a member of the American Academy of Aesthetic Medicine. Dr. Smith is the founder and medical director of Ideal Weight and Skin (IWAS) clinics in Cedar Park and Georgetown, Texas. She now expands her ability to serve by also joining RejuvaWell in Austin as Medical Director. The three clinics operate independently but are able to achieve synergies by bringing the best and brightest people and technologies into each arena. At RejuvaWell, we utilize only the proven and FDA-cleared medical aesthetics technology solutions for face and body rejuvenation (including ZO Skin Health products), non-surgical fat cell reduction, skin tightening, medical weight loss management, female intimate and anatomy area symptoms, urinary incontinence, and hormone replacement therapy. Many of these treatments are beneficial to men as well as women. We help clients with goals to achieve desired results with non-surgical health treatments by introducing solutions and products that are otherwise not available within mainstream medicine. Our on-site lab allows us to test and make recommendations based upon real data combined with extensive history and intake protocols. “Our clients have seen remarkable results when they combine the IP weight loss program with our world-class non-surgical skin and body contouring treatments. Our best-in-class technologies are fantastic devices, but the overall results come from our very skilled body contouring team, who have excellent consulting and contouring expertise and talent to help our clients achieve amazing results,” explains Dr. Smith. In the Best of the Best Med Spa category, IWAS won “Best of Georgetown” in 2017, and “Best of Cedar Park” in 2016 and 2017. They also won “Best People and Places in the Health and Fitness Community” in Austin Fit Magazine’s Best of 2016 honorary list. Dr. Smith plans to guide our practice with the same focus on excellence and expand her reputation and accolades into Austin proper. In her area of expertise, Dr. Smith stands out among many. In 2002, the American Board of Obstetrics and Gynecology recognized her as a Board Certified Diplomate, which is a hallmark of quality practice. She is a member of the Texas Medical Association; in 2011 and 2012, Dr. Smith was recognized for outstanding service by St. David’s North Austin Medical Center as chief of the Department of Obstetrics and Gynecology; the Austin Area Association of Perioperative Registered Nurses recognized her as a Distinguished Surgeon Nominee in 2008; and she has been a Fellow with the ACOG Society.